Get the hottest music, biggest blockbusters and thrilling games – all at your fingertips with Society, powered by So Music. Sign up for Society from just R49/month and enjoy incredible savings and benefits, including a R100 virtual voucher to spend on our latest & hottest offers! You will receive an SMS and email with your voucher. Ts & Cs apply. Society members qualify to receive vouchers, these are sent automatically to the cellphone number that you entered onto our system. Simply enter your voucher code in the voucher redemption section of the checkout process. 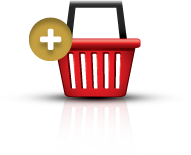 Our system will automatically deduct the relevant amount off your basket order. Society is a trendy club that gives you discounts to the latest music, movies and games at www.somusic.co.za. As a member, you will receive a voucher code to the value of R100 via SMS and email. You can then easily redeem this voucher code during checkout on the So Music website. How much does Society cost? Society costs just R49 per month. No, you may only redeem one voucher code per order placed. Can I buy anything on the So Music website with my voucher? Vouchers can be redeemed against music, DVD’s, blue rays and games, however, they cannot be used for the purchase of any hardware or accessories. The delivery fee is R39 per order, however, your first 3 vouchers will include free delivery. Vouchers can only be redeemed on the So Music website. Once you have finished shopping and your items are in your basket, you will need to proceed to checkout. You will need to enter all your personal and delivery details before moving to the payment section of the checkout process where you will have the option to redeem a voucher. You then simply enter your voucher code and select “Confirm.” The value of your voucher will then be deducted from the total order value. How can I contact Society? You can contact Society on 0861115592 or mail us on support@somusic.co.za. I did not receive my voucher code last month, what can I do? The first thing you need to do is check and make sure that your debit order went off successfully for the previous month. Vouchers are only sent if we successfully bill your account. If you were debited successfully by us then please contact us on 0861115592 or mail us on support@somusic.co.za and we will send you your voucher. How do I cancel my Society membership? You may cancel your membership by contacting us on 0861115592 or by sending a mail to support@somusic.co.za. What do I do if my voucher code does not work? Simply contact us on 0861115592 or send a mail to support@somusic.co.za. Your purchase history in unfortunately not available on the website, however, you can contact us on 0861115592 or mail us on support@somusic.co.za and we will send you a breakdown of your previous orders. How can I get my unused voucher codes? If you contact us on 0861115592 or email us on support@somusic.co.za we will send you a list of all your unused vouchers. I have placed an order but I am not sure what is happening with that order, what do I do? You can track your order on www.somusic.co.za by looking for the “Order Tracking” tab in the footer of the website. If you need more detail on your order status then contact us on 0861115592 or mail us at support@somusic.co.za.